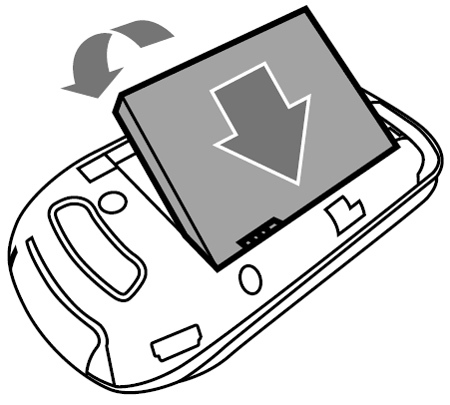 Remove the battery door by pressing down on the door and sliding it down slightly, then lift it off. 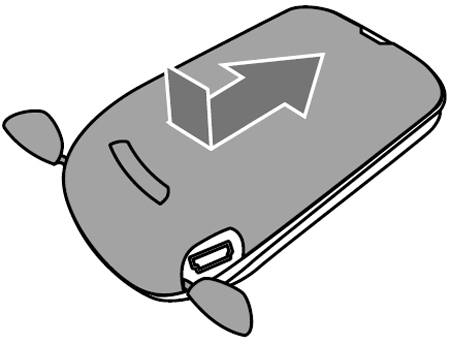 Insert the battery by aligning the metal contacts and pressing into place. 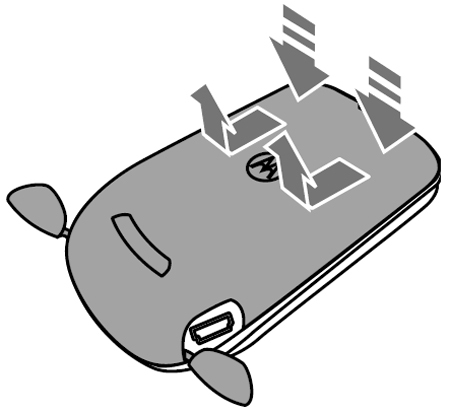 Replace the battery door and close the headset and USB port doors.